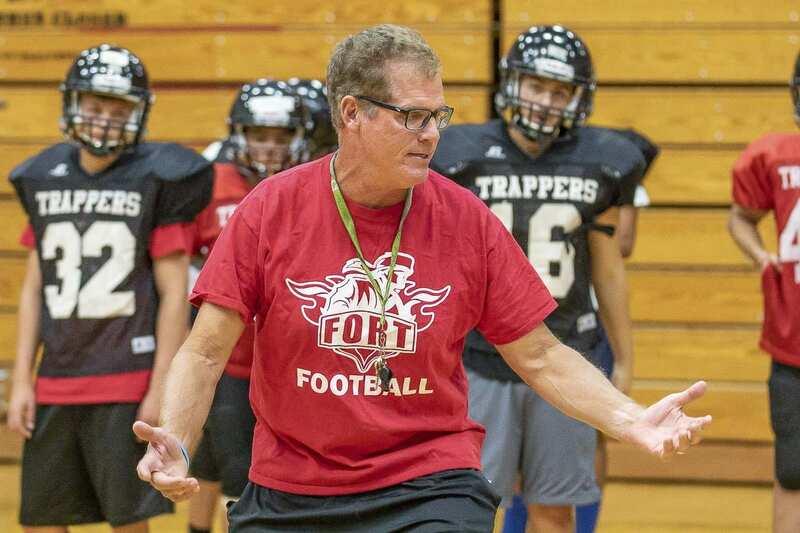 VANCOUVER — Beginning with the 2019 high school football season, the Fort Vancouver Trappers will leave the Class 3A Greater St. Helens League to compete as an independent program. Fort Vancouver officials have received approval from both the Greater St. Helens League and the Washington Interscholastic Activities Association. In a press release emailed to ClarkCountyToday.com Tuesday, Vancouver School District officials indicated the move was designed to help the Trappers rebuild their struggling program. The Trappers have gone winless in each of the past two seasons. In 2017, their nine losses included six by shutout. This past season, Fort Vancouver lost its nine games by an average of 39 points a game. The reasons for the move included concern for the health and safety of the players. This past season, the first under coach Neil Lomax, only eight seniors made it through the entire season for the Trappers. Lomax was the fifth coach to guide in the Fort Vancouver program in the past seven years. Another reason listed for the move was competitive equity. The Vancouver School District officials cited a previous move by Hudson’s Bay as a blueprint for this decision. It is not known how long the rebuild is expected to take or when Fort Vancouver might return to Greater St. Helens League status.